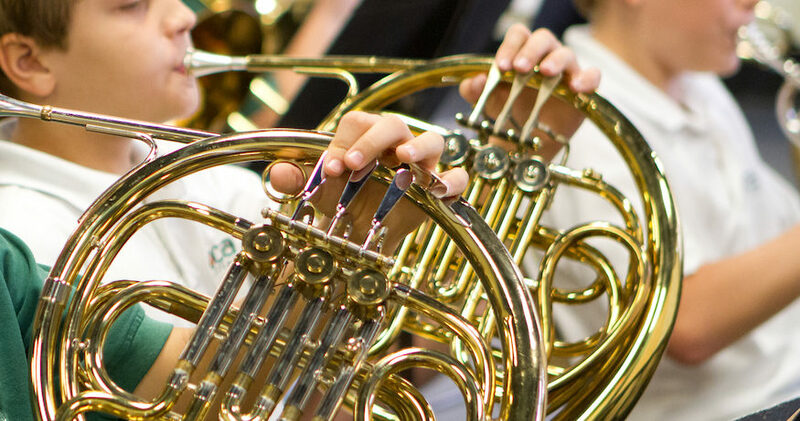 Boca Raton Christian School’s fine arts programs are designed to help students develop the gifts that God has given them to worship Him and to serve Him and to serve others with excellence, creativity, and passion. Whether singing, dancing, acting, painting, or producing, students are ultimately reminded that their audience begins and ends with the Lord! Students have the opportunity to explore drama, debate, and speaking before audiences, beginning in the elementary grades. They learn how costumes, staging, backgrounds, music, and movement enhance a production. Avenues for performance range from elementary musicals, to skits in chapel, to the annual Broadway musical theater production. Additionally, high school students may join Troupe 7354 of the Florida Thespian Society, which includes competitions in Florida District X. Research shows the benefits of music education include discipline, confidence, patience, and mental stimulation. Vocal and instrumental music classes are available to students beginning in elementary school. Boca Christian students are frequently selected to appear with all-district and all-state choirs and bands, beginning in 5th grade. 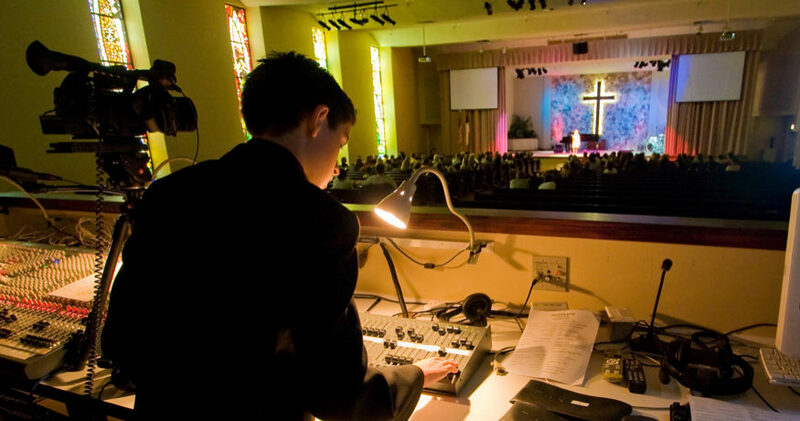 The music department at Boca Christian has prepared students to study music in college and to perform professionally. Middle school and high school students discover the intersection of technology and the arts in Production Engineering, a program that blends engineering, visual arts, music, communications, and technology. 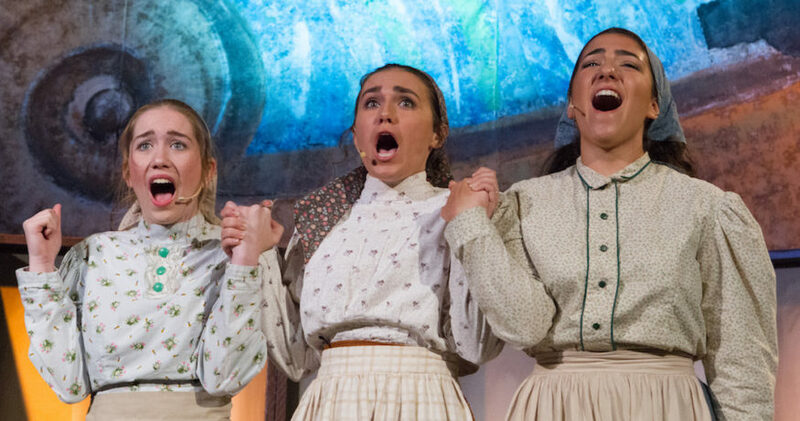 Students plan and run live events, including the annual Broadway musical theater production, using the tools and equipment of staging, lighting, sound, projection, and special effects. 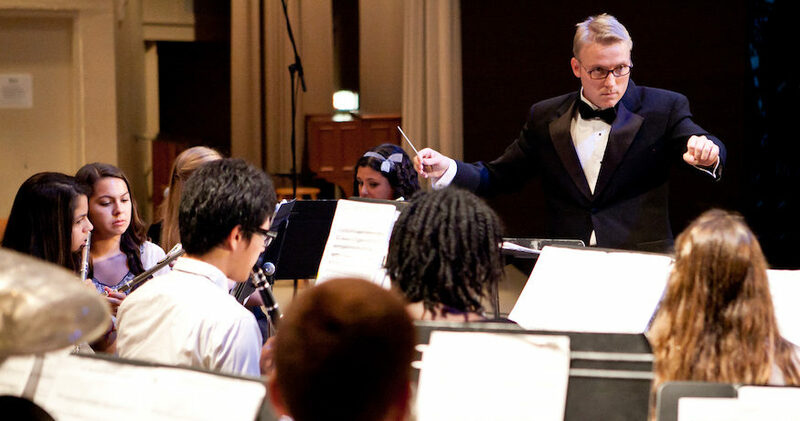 This aspect of fine arts is an opportunity for students who enjoy the technical challenges of working behind the scenes to bring drama and music to life. 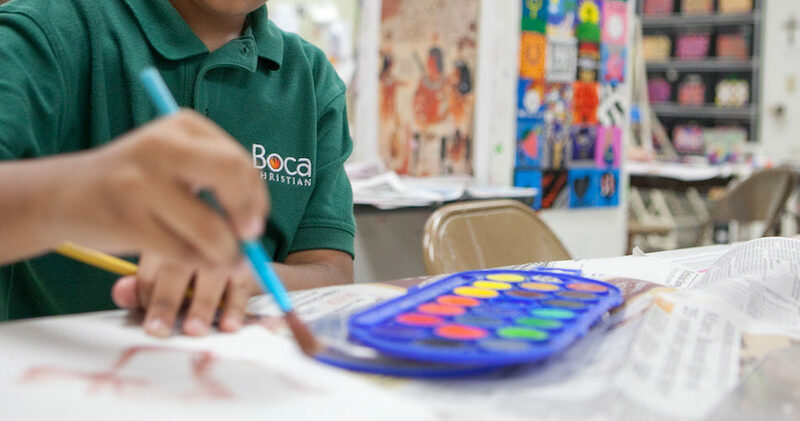 In Boca Christian’s large art studio, students learn to use a variety of media to develop skills in the elements and principles of the visual arts. Studio classes are offered across all levels, from Elementary Art through AP Studio Art. Learning is reinforced by school, local, and national exhibits. A fine arts exhibit is held each spring to showcase artwork completed during the year. The capstone of the high school year is a professional-level, full length Broadway musical production each spring. 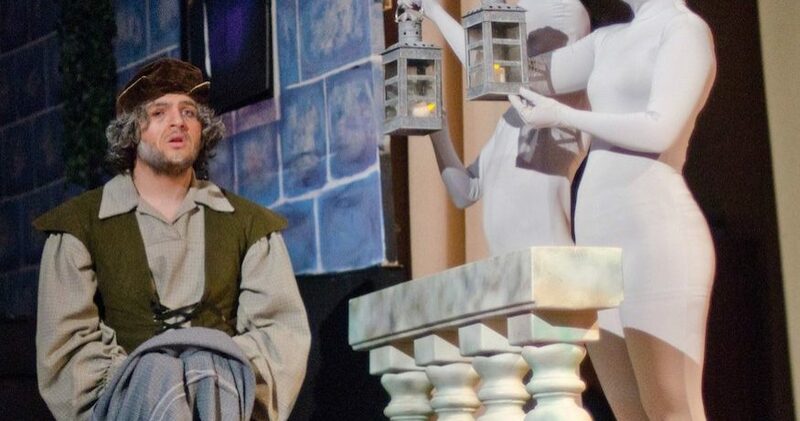 The musical draws on the talents of students and teachers from all branches of the fine arts department: drama, choir, choreography, live orchestra, production engineering, and visual arts. From auditions through rehearsals and performances, the cast and crew learn how the body of Christ works together to produce something outstanding when everyone does their part. Past musicals have included Fiddler on the Roof, Anne of Green Gables, Beauty and the Beast, Annie, Godspell, and many more.